eD@HoMe: An awesome Turkish cover! Just a short posting on this tiring day. 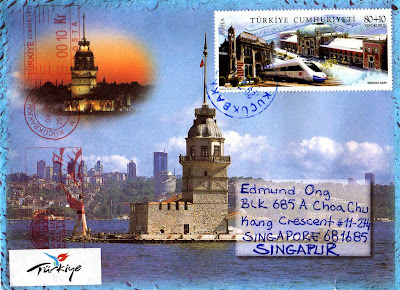 Many thanks to Levent Baldgan for this awesome cover posted from Istanbul, Turkey! The beautiful stamp belongs to the "Railway Station Buildings" series, issued on 15th Oct 2008.